1. It's begun. The youngest texted and asked if his friends could come over for lunch after basketball practice. My response? YES. A quick run to Costco for pizza and I was able to sit in the kitchen and listen to all the gossip...not that boys gossip, but they sure do talk about girls (and basketball) a lot. 2. 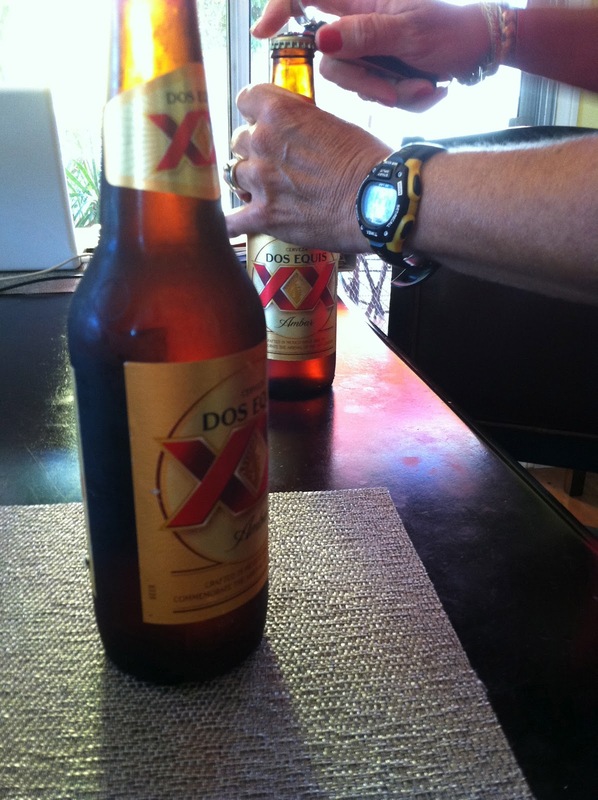 Later in the afternoon, at a friends kitchen table, I drank a beer. At 3:00 in the afternoon. I was in an icky place...I had asked a bunch of people for a favor and no one had the decency to even respond. My gut reaction (thank you very much, Satan) was that I would never make myself available to help anyone ever again. Thankful for a good friend (and that beer) for laughing at me and making me feel all better. 3. Moving day. Sort of. A girlfriend, over a long lunch, mentioned that she had an apartment full of furniture that she was giving away. Turns out I have a son who is moving in August, has no furniture, and has no budget for furniture. That lunch on that day became a big blessing. 4. Turns out I have another son who owns a pick up truck and it turns out I also have a 3rd son who has big muscles like his bigger brothers. 5. All that food I've fed my crew over the years is paying off...it's the little things, you know.